Hypoparathyroidism, which is rare, occurs when the parathyroid glands in your neck make an insufficient amount of parathyroid hormone. This hormone helps regulate the levels of phosphorus and calcium in your blood. If you have hypoparathyroidism, your body has too little calcium and too much phosphorus. 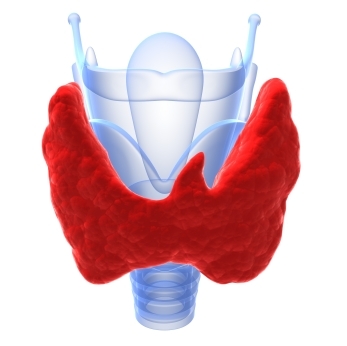 Hypoparathyroidism may be either inherited or acquired (from injury to or surgery on the thyroid gland). We want to restore the calcium balance in your body. Foods rich in calcium include almonds (soak for 8 hours in lightly salted water and roast at 150 degrees F for 8-12 hours), legumes, spinach, kale, blackstrap molasses, sardines, prunes, tahini and apricots. Squeeze lemon juice over leafy greens; the acid helps the calcium absorb. Eat pastured meats and eggs (avoid conventionally farmed animals), wild-caught fish, or beans for protein. Utilize healthy oils for baking, sautéing and cooking: virgin olive, virgin coconut oil, ghee or pastured butter. Stay hydrated with at least 6 glasses of filtered water daily. Exercise at least 30 minutes daily, five days per week. Potential food allergens, including dairy, wheat (gluten), soy, corn, preservatives, and food additives. Refined foods, such as pasta, sugar and white breads. Trans-fatty acids, found in commercially baked goods such as cakes, crackers, cookies, and donuts. Also avoid fried foods, processed foods, and margarine. Carbonated beverages are high in phosphates, which leaches calcium from your bones. Coffee and other stimulants, alcohol, and tobacco. ALL artificial sweeteners: Nutrasweet, Splenda, etc. A little raw honey, Rapdura or coconut crystals is OK. Helps decrease inflammation and assists metabolism. 2. Mortensen L, Hyldstrup L, Charles P. Effect of vitamin D treatment in hypoparathyroid patients: a study on calcium, phosphate and magnesium homeostasis. Eur J Endocrinol. 1997 Jan;136(1):52-60.